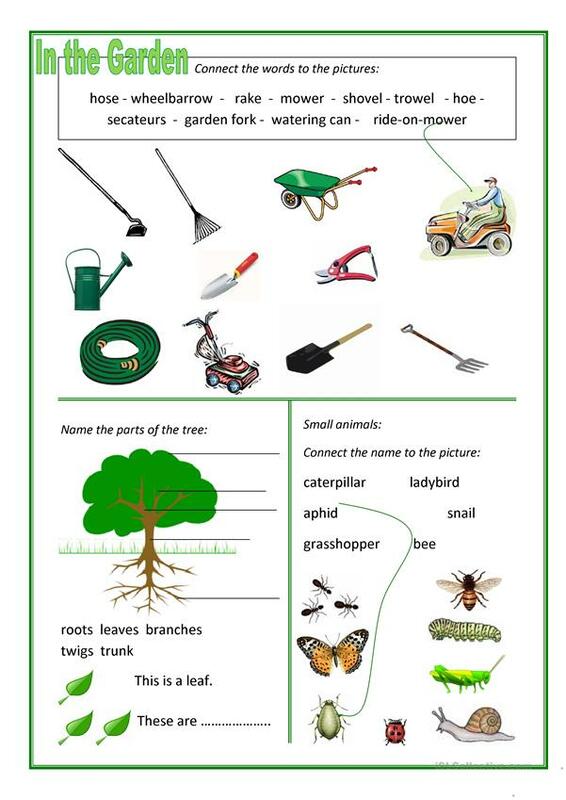 Lots of vocabulary to do with things found in the garden, garden tools, small creatures, naming the parts of a tree. The present printable, downloadable handout is best suited for high school students and elementary school students at Beginner (pre-A1) and Elementary (A1) level. It is focused on the theme of Home.